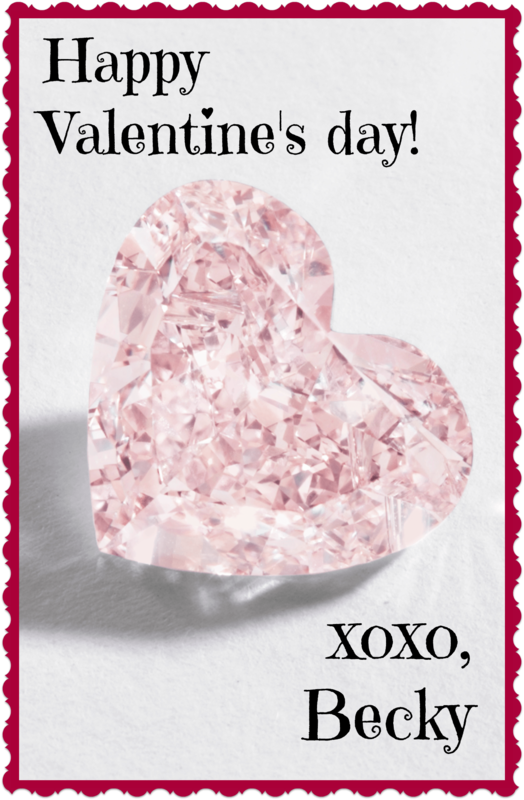 You are here: Home / Other / Be mine, pink diamond Valentine. Be mine, pink diamond Valentine. I just discovered your blog. You are a lady after my own heart. Diamonds and literature?! Yes. Yes. YES! Thanks so much, Rosemary!! Welcome! I’m glad you found me.